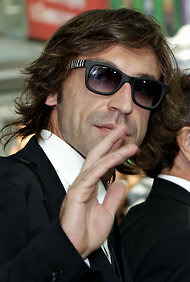 Suddenly, Andrea Pirlo, 33, is a household name and not only in Italy. His class as a player has always been recognized, but rarely has he gotten to be the star. 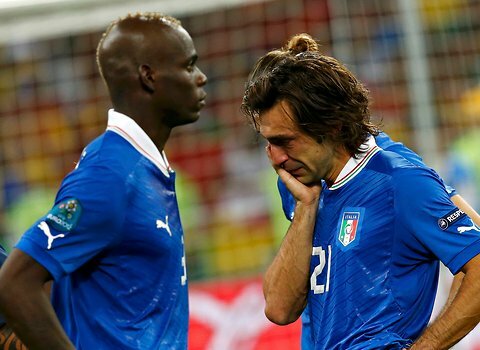 When Pirlo ran the show for Italy against England, it got the public’s attention. But why now? Pirlo’s dominance was so complete that he connected three times as many passes as any opposing English player. Truthfully, he was just doing what he does every game. But this time, when everyone else was frantic, when England struggled to keep the ball, and no Italian players made magnificent plays, there was Pirlo, doing it right all game long. This is the plight of the holding midfielder. It is a position that often garners little glory, yet the team’s pulse rests in this player’s feet. In Portuguese, the position is called “volante,” the word for steering wheel. Euro 2012 brought to light something that I’ve often observed — seldom is the brilliance of the volante applauded and fully appreciated. As a holding midfielder when I play, I have a keen view of the position. When we think of Spain’s dominant performance in the championship game, Xabi Alonso is likely not one of the first players to come to mind. But he, like Pirlo, deserves more credit. He consistently sets the stage for an entertaining and productive performance, but most times remains out of the spotlight. As the camera was focused on Xavi, Andrés Iniesta and David Silva, who at times pulled off stunning displays of fútbol, Xabi Alonso was a constant outlet. His passes were safe, allowing for his teammates to try something a bit more risky. His positioning was conservative, allowing others to make more daring runs. Riccardo De Luca/Associated PressItalian style — on and off the field. The volante is typically not a player with blazing speed, magical dribbling ability, or a charismatic playing personality. Most times he/she manages the game by making seemingly simple plays. I have inhabited this role on many occasions. A well-timed tackle or crisp pass can change the flow of the game in an instant. The position requires a unique skill set and some less tangible qualities than other spots on the field. An even temperament, and instinctive feel for the rhythm of the game are key. When does the team need a calming foot on the ball as opposed to an injection of energy? It is rare that the holding midfielder is so dominant that he/she cannot be ignored. But behind the success of most spectacular teams is a puppeteer pulling the strings and supplying the ball to where it needs to be at the right time. This player may not produce the magic, but he/she allows it to happen. So is it shocking that “past his prime” Pirlo ran more than 11½ kilometers (about 7 miles), more than any English player Italy played against? Only to those who never before considered what allowed Mario Balotelli to look dangerous or Claudio Marchisio to make dashing runs forward. I saw Pirlo making himself available for every ball, covering the ground to link his players and putting in the work to flawlessly dictate the team’s pulse. It is way past time that he finally got the credit he deserves. So next time you see a flashy Ferrari, or a team running on all cylinders, remember that it absolutely could not function without its steering wheel.